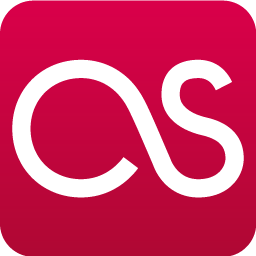 Like any other form of extreme music, overlapping and interchanging various elements is part of the composing process. Historically, death metal and grindcore have had a relationship with one another, while bands of both styles played shows together without much fuss from fans. Mecosario, a grindcore band from Japan, would have no problem performing alongside our metal brethren. 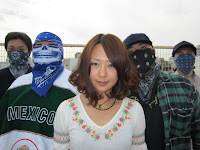 In fact, they play rather standard punk-tinged music, but what differentiates them from other acts is their focus on Mexican themes and Spanish lyrics. Yes, you read that correctly; a band from Japan centers on something completely opposite of their own culture, which is certainly absurd, but the concept works. 2012 has been a frantic year for the band. One half of Mecosario's dual vocal attack, Tonoko, hastily departed from the group, leaving Mecosario in a bind to find a replacement before upcoming shows. Luckily, after what seemed like a week, Aiko stepped to fill big shoes, but she does not make an appearance on the band's first demo. The band's only existing work, Demo 2012, features the original line-up, pictured below. Like Tonoko's short tenure, I tend to associate grindcore with a quick, messy performance, with the spotlight placed on outright speed and brutality. In other words, there's no extra baggage or stylistic traits that hold the music back. For Mecosario, the situation is no different, and though they aren't particularly fresh in their approach to the music, the Mexican themes are a breath of fresh air, and something they should carry well past their debut. 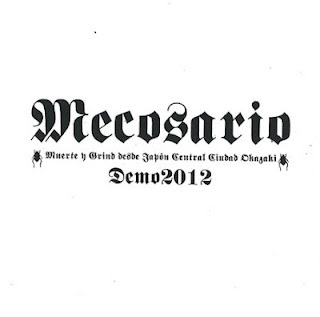 For Demo 2012, Mecosario are more or less standard grindcore and a good starting point for listeners looking to delve into the genre. The guitars, while crunchy and nicely placed in the mix, are punkish in nature and never venture far from the basics that came with Napalm Death nearly twenty years ago. The nearest copy of Grindcore 101 was clearly in the studio during each recording session, but the band's immaculate attention to detail isn't something gleaned from a book--it's all Mecosario. From the track roster, "Usted No Es Nada" is the favorite, and the one to pick if, ironically, pressed for time. In only a minute and forty-forty seconds, the song manages to leave one with a relatively good impression of what grindcore is about, thanks to its blistering instrumentation. But, even with the lack of originality, any track is an excellent example of what Mecosario bring to the table because they are, indeed, quality. 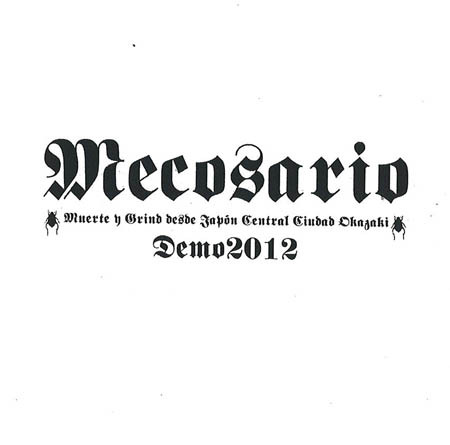 Likewise, Mecosario's demo will fly by in a blink of an eye, if one isn't paying attention. In a sense, there isn't much content here because the record only lasts about 10 minutes, but I'm looking at Demo 2012 as a precursor to a bigger and better things--hopefully a new, modern grindcore giant. 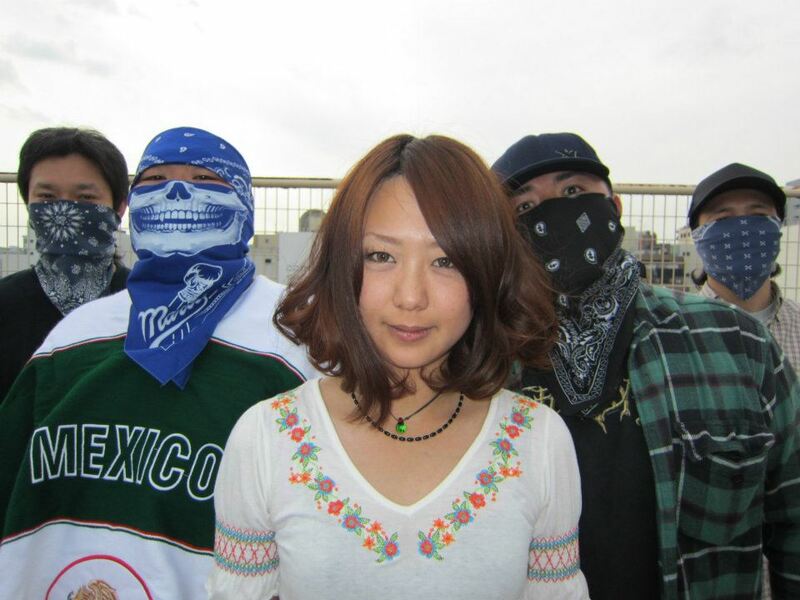 The Mexican theme and Spanish lyrics are like icing on the cake--especially for a band from Japan--and I eagerly await Aiko's recorded material with Mecosario. I know I'll miss Tonoko's vocals, but once the sophomore release hits shelves, I assume I will forget all about her.